Trifocal Intraocular Lens Zeiss AT LISA tri enhances quality of your vision! Main page / Cataract. Causes, symptoms and diagnostics / Trifocal Intraocular Lens Zeiss AT LISA tri enhances quality of your vision! The modern approach to cataract surgery implies not only treatment of the disease, but also the highest quality of visual life following the operation. Therefore, leading manufacturers of intraocular lenses never stop on their road to perfection in intraocular lens models. The EXCIMER Eye Clinic offers to its patients the latest Zeiss development – a new generation trifocal intraocular lens AT LISA tri. 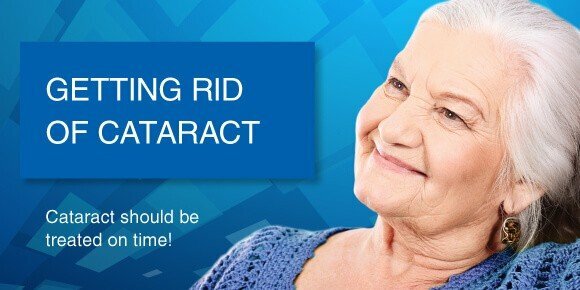 Cataract is often accompanied by another age-related eye disease – age-related hypermetropy, or presbyopia. Most cataract patients want to be independent of eyeglasses and see at all distances regardless of light conditions. After cataract surgical extraction and subsequent implantation of a standard monofocal lens, a patient with age-related hypermetropy needed eyeglasses for reading. In order to avoid wearing glasses and see precisely both close and remote objects (near and far), multifocal lenses with two foci have been developed and are being successfully used. Moreover, a high-tech trifocal lens with AT LISA tri has three foci, which ensures high precision eyesight not only at large and short, but also at medium distances. The AT LISA tri lens allows to softly focus the eyesight on any object at any distance without eyeglasses. The lens has refractive diffraction optical character, a single bloc structure, and aspheric properties correcting postoperative distortions (aberrations). Therefore, implantation of a trifocal intraocular lens yields the best visual characteristics possible. The trifocal lens AT LISA tri has undergone all the necessary clinical trials in Europe, which have shown high refraction results in patients after implantation. The implanted AT LISA tri lens ensures good contrast eyesight sensitivity. All the patients (100%) said that they were satisfied or very satisfied with their visual acuity while watching TV or reading newspapers; patients working at the computer had similar results (92%). The best results after implantation of trifocal intraocular lenses (as well as other artificial lenses with complicated optics) are achieved when cataract phacoemulsification is accompanied by a Femtolaser procedure. Femtosecond technology of cataract removal provides all the necessary conditions for trifocal intraocular lens implantation: ideal shape of the orifice in the capsule where the lens is placed, and high-precision lens alignment. All these factors contribute to postoperative visual acuity with high-tech lenses.